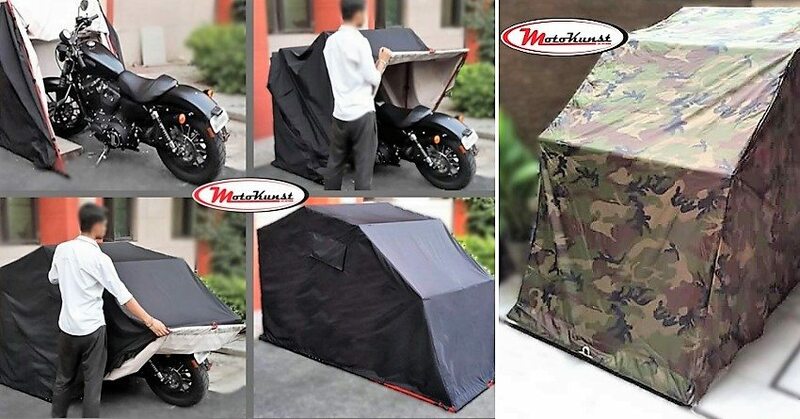 100% Waterproof Bike Shelter by MotoKunst: Bought a new bike or have one that is more important to you than anything else on earth? If yes, you must be familiar to the feeling of insecurity that comes when you park your bike and leave it there for few days (even in your own parking space). Stray cats love sleeping on your seat and while doing so, they can get angry and scratch the surface while jumping on or off your prized possession. Not just that, what if it rains heavily and water starts rusting the precious parts of your bike? It hurts! MotoKunst came up with an innovative solution for these hundreds of direct and indirect problems that one could face if he/she is living with open parking or does not have a proper parking at all. 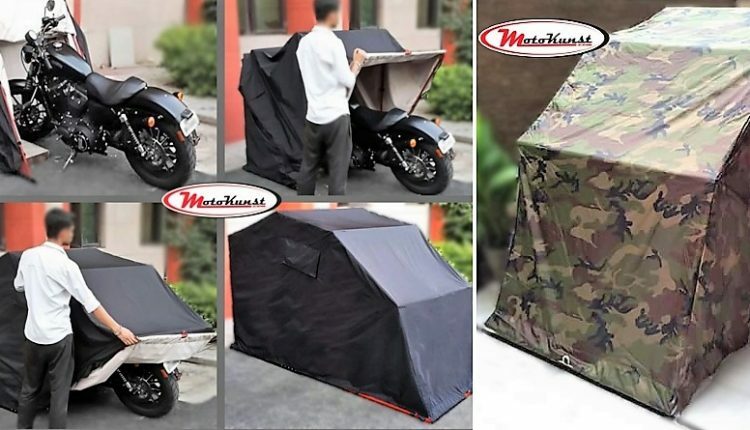 Leaving your bike safely for days will no more be a problem as they are here with fold-able, reinforced, 100% waterproof bike shelters that takes practically the least possible space to park your vehicle. More than that, they are custom made and fit perfectly on your bike. 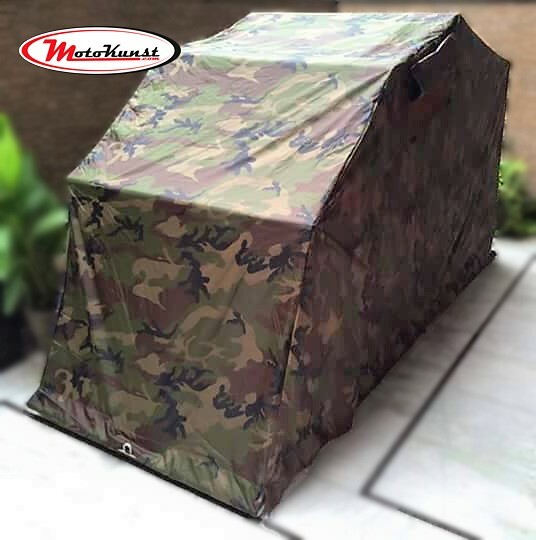 The shelter is made using two different layers of fabrics that enhances protection in all weather conditions and gets two vents, one on each side for heat dissipation. This means one will not have to wait before the bike cools down and can leave by covering the bike immediately after riding. 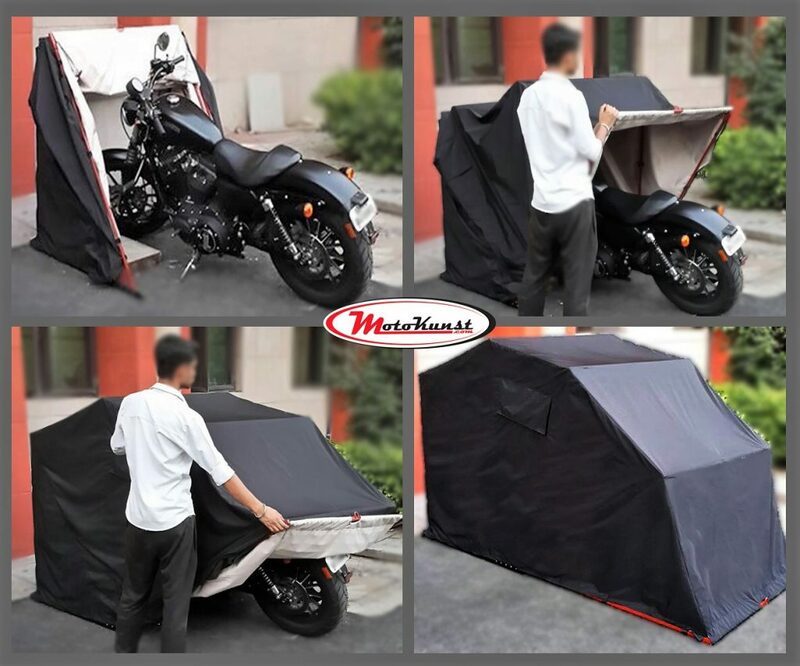 The locking mechanism makes it even better as you can move your shelter to any other place and keep your bike safe all the time. 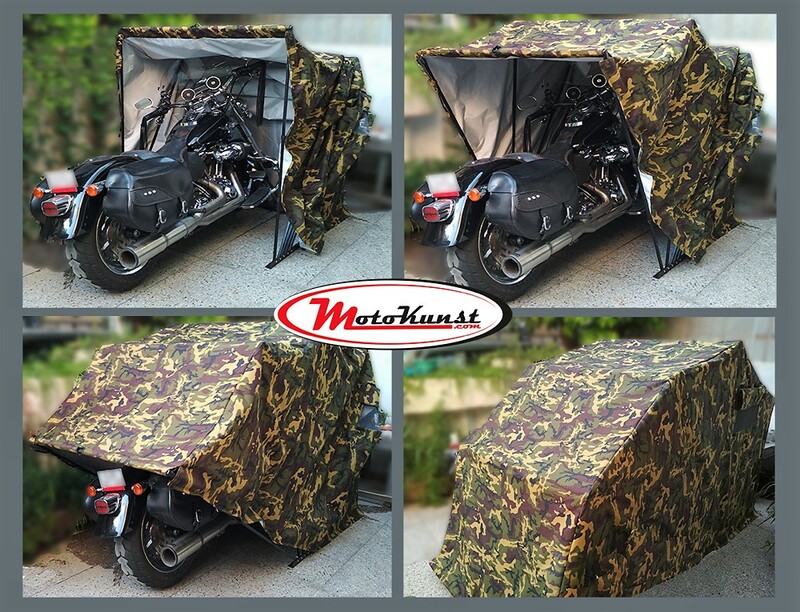 MotoKunst can use your favorite pattern and build a shelter by taking care of the measurements of your bike. A Harley Davidson CVO Limited will take much more space than Yamaha R1 and parking the same R1 in CVO’s shelter will not be a wise space saving decision.